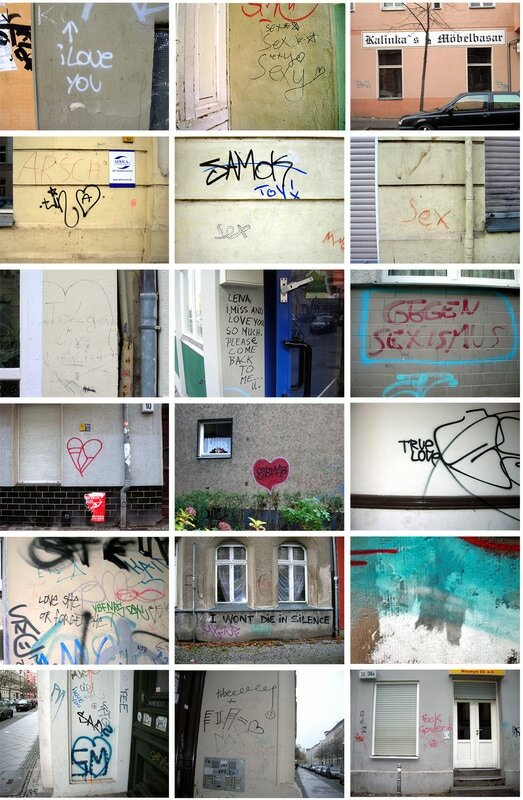 A walk in Kreuzberg on a sunny afternoon, thinking about love 2006. Set of photos taken during a walk around Neukölln and Kreuzberg in Berlin, collecting graffiti about love. The set includes a map , the pictures and the root of the walk are marked, in a direct reference to their actual location.